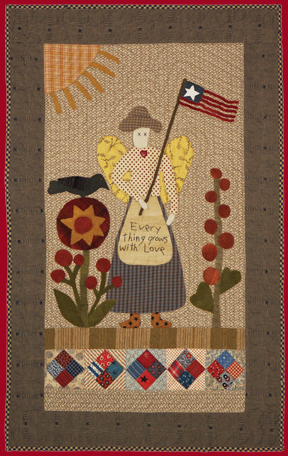 Finished size - 21" x 33"
A quick little summer project, this angel will keep watch over your home and gardens with love and patience. Complete quilt kit - Price $43.00 This kit includes the printed pattern and all the fabric required to make the quilt top. The pieced elements are precut.